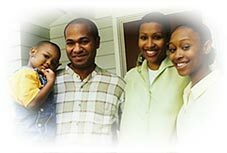 The mission of the Housing Authority of the County of Kings is to promote decent, safe, and affordable housing and economic opportunity to low-income families. We are committed to assisting low-income families with incomes below 80% of area median, adjusted for family size. The Housing Authority’s primary goal is to promote and provide a healthy, drug and crime-free environment where all residents may have peaceful enjoyment, and comfortable living arrangements without discrimination. Promoting and providing housing means facilitating, planning, developing, building, acquiring, managing, renting, selling, financing, maintaining and improving properties for housing of low to moderate income families. The Housing Authority can carry out these activities itself or it can jointly venture or contract with any other public or private party under powers granted by the California State Housing Authorities Law. In achieving our goals, the Housing Authority will treat and respect all applicants, residents and guests equally and fairly. Through partnerships with local law enforcement agencies and other community organizations within the County of Kings, we will better serve and provide top quality services to our residents seeking and/or desiring additional services other than housing. Our clients are our customers; therefore, we will pride ourselves in being committed to serving them.